I was born in Illinois in October 1976. As a child, I was puzzled by the children who only used their Transformers and GI Joe action figures to enact fistfights or for Nerf gun target practice. I played out elaborate storylines with mine, starting each afternoon’s play session with a brief recap of the previous day’s events. Didn’t everyone make up his own 5-part, week-long epics? One morning when I was in middle school, my mother was helping me with my paper route, and we spoke about a career aptitude test my class was going to take that day. “You should be a writer,” she said. It was the best suggestion I’ve ever received. I’d left the house that morning with a canvas bag loaded with newspapers and no idea what I wanted to be when I grew up. I returned home with an empty bag and a purpose. I went on to write scripts for my comic book series, a lot of fanfiction, and I even tried my hand at a Star Trek: Deep Space Nine spec script. But eventually, I decided to take a different career path and took up software engineering. That’s still my day job. It’s fun, but it’s not what I’m supposed to be doing forever. I can’t resist the urge to tell stories. My real calling keeps calling. 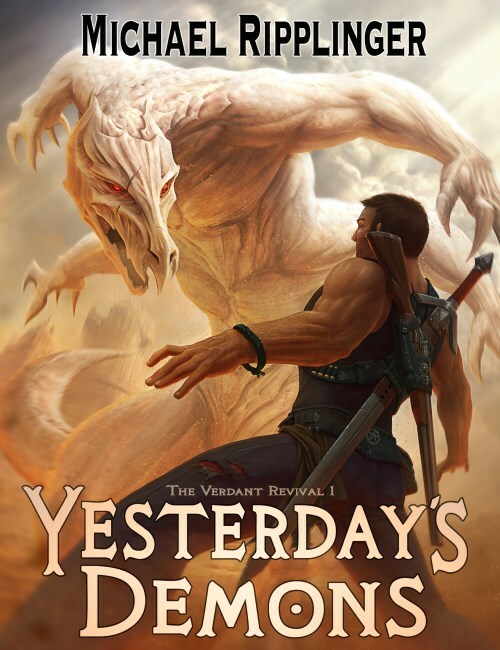 My current work-in-progress is my first novel, Yesterday’s Demons. It’s a story I’ve had kicking around in my head for almost fifteen years and one I had to tell. Writing it has been one of the most rewarding experiences I’ve ever had. It’s kind of fun to do what you’ve always dreamed of doing. I will independently publish it in 2016. The best day of my life was the day in 2006 I married my beloved wife, Rose. About a year later, we moved to her hometown of San Antonio, Texas. Now I can’t imagine living anywhere else. Except two blocks from Disneyland. I’d even put up with Southern California traffic to live two blocks from Disneyland. Contrary to conventional wisdom, the light in my life doesn’t come from the star that Earth orbits but rather from our six children, who make me laugh and smile more than anything. I’m an INFJ, an HSP, and the world’s most introverted introvert. When I’m not writing, working, or spending time with my family, I like to read and watch Chicago Cubs baseball.